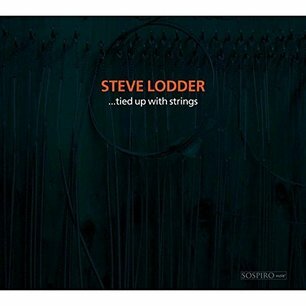 I’ve had a healthy regard for the musicianship of Steve Lodder ever since I bought a disc in which he performed on a church organ as part of a duo with saxophonist Mark Ramsden. He is no less impressive on piano onto which he transposes one of the pieces to be found on that earlier disc to which I refer. Having been an organ scholar at Cambridge university his musical credentials are impeccable and as well as being possessed of a prodigious technique his scholarly grasp of musical form and its historical development enables him to employ it with exquisitely good taste avoiding the empty verbosity that can sometimes contaminate solo piano recitals that, like this, attempt to bridge the divide between classical and contemporary forms. Here, the forms are perfectly united in a marriage that accommodates both sensitive re-interpretation, meticulous replication and originality of invention by way of a recital of pieces that move from the 14th century forwards; from medieval dance forms via eighteenth century classicism, through sixties jazz and pop music, culminating in improvisations of startling spontaneity. The re-interpretations are a piece from the Robertsbridge Codex - the earliest surviving collection of organ music from 1325 - which lends itself perfectly to gently applied extemporisation, and a version of the Motown `tune, `What Becomes of the Broken Hearted` which Lodder invests with dramatic harmonies that plumb emotional depths not found in the original piece. He refrains from tampering with performances of pieces by Bach and the sixteenth century English composer, William Byrd being themselves replete with their composer’s fertile inventiveness, reserving his own improvisational prowess for a couple of `Made Up` pieces which offer free reign to the imagination: not free jazz in the atonal, unstructured sense but rather spontaneously conceived tone poems. As well as these there are five original compositions: `Cranbourne Chase`is a pastoral invoking images of Dorset, its topography and history whilst `Ronchamp` takes us to France to celebrate the unadorned symmetry of le Corbussier’s modernist chapel with the inevitable nod in the direction of Messiaen. On a lighter but no less stimulating note there is a Bill Evans inspired waltz and a silky bossa nova before the disc culminates in a piece composed for four pianos, overdubbed in this instance, and dedicated to Joanna Macgregor, herself a kindred spirit in the field of crossover eclecticism.